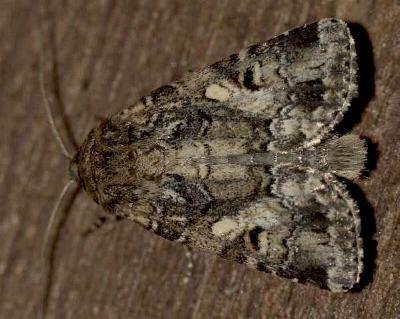 The adult moths of this species are brown with a complex pattern including a pale blob and a pale-edged black blob on each forewing. 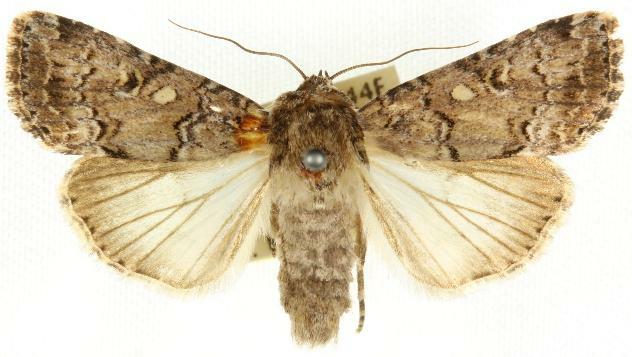 The hindwings are pale brown with dark veins ending in dark dots. The moths have a wingspan of about 3 cms. Part 15 (1858), p. 1717. Volume 8, Part 3 (1892), pp. 85-86.